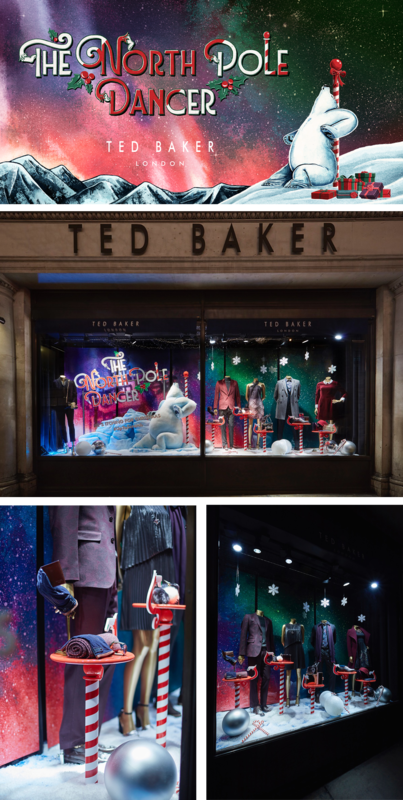 "Ted Baker always like to have something tongue-in-cheek for their Christmas store windows, so it was a really fun project to work on," said Ben of the brief. 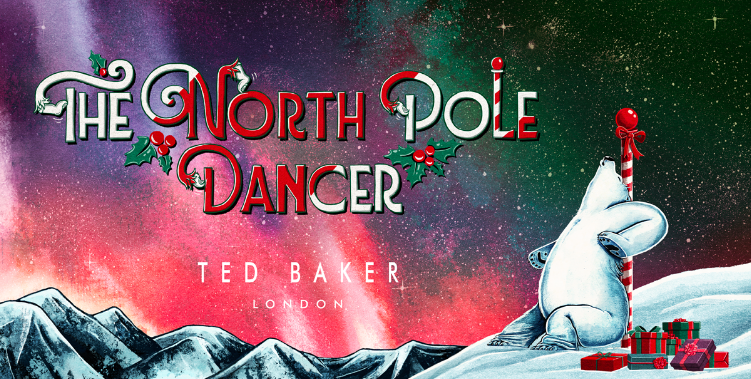 "My job was to design a polar bear character, and then complete a finished illustration of a scene featuring the character, along with the typography, which would be used on Ted Baker's Christmas shopping bags and boxes, as well as being created into a 3D window display for Ted Baker stores worldwide. I also provided some additional illustrations for an animated version of the scene that was used on Ted's social media channels. "The concept was to have a polar bear character, scratching themselves up against the North Pole, to give a sense of relief from the itch as well as slightly emulating a pole dance pose. Capturing the right posture and shape for the character was the trickiest bit, which took lots of sketching, but once that was right it was just a matter of polishing it up to create the final artwork, including various festive iconography and colours in an arctic setting with a Northern Lights style background. "I had no role in the building of the 3D bear once I had finished the illustration, so it was great to see how close to my drawing the finished models were!"